3PL vs. Freight Brokers: What's the difference? When you are looking for a logistics partner to help your supply chain run efficiently, finding the right partner can be a tall order. There are many factors to consider, and common industry jargon often creates more confusion than clarity. For instance, the terms “freight broker” and “third-party logistics” (or 3PL) are sometimes used interchangeably. However, there are a few key differences between these two services, and when you’re looking for a new logistics partner, it’s helpful to know what they each do. A freight broker serves as an intermediary between a shipper and a carrier. Freight brokers are generally not asset-based, which means they do not have their own equipment to transport shipments. This may give them agility, since they’re not tied to physical equipment. Instead, they locate and deploy one of their trusted partners to meet individual shipping needs as they arise. Working with a freight broker is usually best for shippers with unpredictable transportation needs, or when an unexpected shipment needs to be moved. Because their business is sourcing capacity, established freight brokers have a large network of trusted carriers that offer a variety of specialty services. This network helps them find a solution for their customers, especially when time is a constraining factor. Companies may find it useful to establish a good relationship with a handful of trusted freight brokers to work with over the long term. However, since the role of a freight broker is generally on an as-needed basis, they’re not involved in the planning and optimization of an overall supply chain strategy. This means that when you’re working with a freight broker, you’re susceptible to price fluctuations in the spot market. A 3PL plays a more strategic role in supply chain optimization than a freight broker. They generally establish a longer-term working relationship with supply chain managers, and are involved in the whole planning process, instead of only being responsible for moving individual shipments. Unlike freight brokers, who are brought in on an as-needed basis, a 3PL works with shippers to create a unified logistics solution. This gives them visibility about what kinds of challenges may arise, and advance time to find the best carriers at the best price available. A third-party logistics company will occasionally deploy some of their own assets to bring costs down for their shippers. However, like a broker, they’ll also have an established network of trusted carriers who can fill in where additional capacity or special equipment is needed. 3PL vs. Freight Broker: what’s right for your business? Having clarity about the different roles a freight broker and a 3PL fulfill will help you to find exactly the type and level of service you need. Both kinds of logistics providers have an important role to play, and there are advantages to working with each. With PTS Logistics Group, you have the both, a broker and 3PL. The best of both worlds in one business model. So, if you’re responsible for ensuring that your goods get where they need to go, it’s always wise to have a trusted 3PL in your corner. A strong working relationship with an experienced third-party logistics partner can help you anticipate and plan for challenges to create an efficient supply chain operation. Give us a call today and lets help your business grow. THE COST OF TRUCKING TAKES A HUGE LEAP UP! The trucking sector usually slows down a bit at the end of the first quarter as freight demand drops. Because of low freight demand, trucker rates also take a hit. A similar situation was expected this year as well, but that wasn’t the case for the week ending April 7, 2018. Contrary to the usual pattern, national average spot rates jumped up in comparison with March averages. We saw unexpected results this year as freight rates soared due to a tight market capacity and the recent implementation of the ELD mandate — a federal regulation which requires non-exempt truckers to use electronic logging devices. Full enforcement of the FMCSA’s ELD rule began on April 1, 2018. Over the past few months, the trucking industry has been experiencing favorable market conditions for truckers and a tight capacity, which led to higher rates. Dry van rates went up to $2.24 per mile, up by 9 cents from March. Flatbed rates hit $2.63 per mile, which is a new record according to DAT. Reefer rates went up to $2.48 per mile, up by 8 cents from the previous week. While the steadily increasing flatbed ratio went up only 6% from the previous week, the 101.5 load-to-truck ratio increased to 111, the highest recorded weekly load-to-truck ratio for any equipment type. Freight volumes haven’t been impressive lately, but the trucking industry saw higher rates in April due to the shortage of trucks and drivers. Last week’s shortage may be attributed to the number of trucks placed out of service for not having a compliant electronic logging device. Rates from Los Angeles and Stockton, California have been strong, going up 2.6 percent and 2.5 percent respectively. There’s a stronger freight demand from Stockton, as always. Columbus, Ohio had a 3.1 percent increase while Denver went up 2.5 percent in outbound rates, despite its notoriety as a dead zone. Houston, meanwhile, increased by just 1.8 percent but has acquired a gain of more than 9% over the last month. Fresno reefer volumes were up by 4.4 percent while Los Angeles reefer rates jumped 3.9 percent. Ontario went up 2.3 percent on average, and reefer volumes out of the Imperial Valley went down again last week. Although reefer volumes out of Dallas were quite low, its average outbound rate rose 4.9 percent. The implementation of the FMCSA’s ELD mandate is changing the dynamics of the trucking industry. Fleets which are using the latest ELD technology to its full potential will reap greater benefits. Rates are soaring up, and trucking companies are using electronic logging devices to streamline operations, reduce administrative burden, minimize costs, and maximize profits so they can keep up. PTS Logistics Group will continue to provide the most competitive rates for its clients for its local services and will continue to negotiate for the lowest possible rate for your LTL & TL shipping needs. That's right fellow shippers. We have started our national platform powered by GlobalTranz. We can now get on the spot rates for your LTL needs. We are also set up to get those quotes for the FTL needs. We even have the much sought after Drayage service that has take off by leaps and bounds. No more looking at those single carriers that can never tell you if they can pick up your container or not. No more having a carrier tell you they will pick up today and they show up tomorrow. Here we can schedule a pickup based on the ETA to the port, and then we watch to make sure your ship comes in, so to speak. On top of that PTS can process your container as well giving you the best of both worlds saving you time and labor costs. How's that for great service? If you would like to have access to our national platform, COMPLETELY FREE getting quotes comparing multiple carriers at once, with the ability to schedule every type of carrier service out there today, schedule LTL shipments right away without emailing or a call back, and you choose the carrier, then email us today and you will be surfing quotes in less than 10 minutes. SUMMER IS COMING....ARE YOUR PREPARED? HERE IS A TIP THAT MIGHT MAKE SUMMER MORE ENJOYABLE. Did you know that Dry Ice can draw Mosquitoes away from your house? That's right a few pounds spread throughout your yard can be the same as 1000 people breathing out. Mosquitoes are drawn to the Co2 gas that we expel during breathing. Cool, huh? So, before you have your out door party or event, make sure you come and see us at PTS Logistics Group @ 900 Wendell Court SW, Atlanta, GA 30336, you will be glad you did and so will your guests. PTS is Ready for the Holiday Season are YOU? 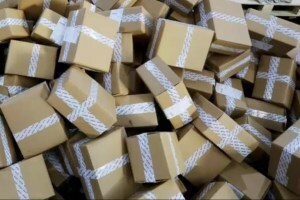 It is that time of year when companies start to get those early holiday orders. "Business is booming and doing well" is what we all like to hear, but then someone says "How are we going to get all these orders to the business' around town?" That's when you hear the other proverbial shoe drop. Well, have no fear PTS is here. Let us take care of those pallet deliveries in the local Atlanta market for you. Saves you time and planning and all you have to do is have it ready to go. Make sure to check all the services we can provide you this holiday season. Just click on the services page and together we can keep business booming. PTS has a new home! 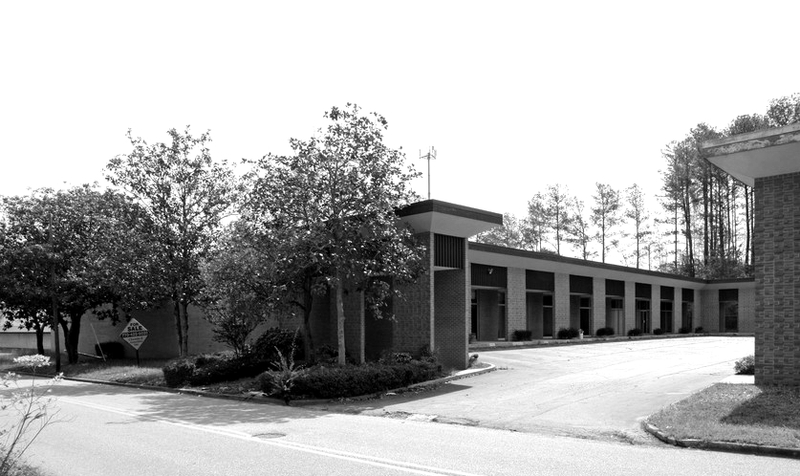 We are pleased to announce that we have moved to a brand new facility at 900 Wendell Ct SW, Atlanta GA 30336. We completed the move Q1 of 2017 and are now fully operational and ready for new challenges. PTS Logistic Group adding more warehouse space! PTS Logistics Group continues with it's double digit growth trajectory for the 5th consecutive year. We are adding another 10,000 square feet giving us the ability to better serve our customers. Contact us for information on how outsourced warehousing can help you grow! PTS Group set to open retail dry ice operations. We are pleased to announce, that retail operations open to the general public, are set to begin on September 15th out of our Commerce Circle facility in Atlanta.